Gauging whether a campaign has been successful is one of the key elements of marketing, both in-house and within agencies. 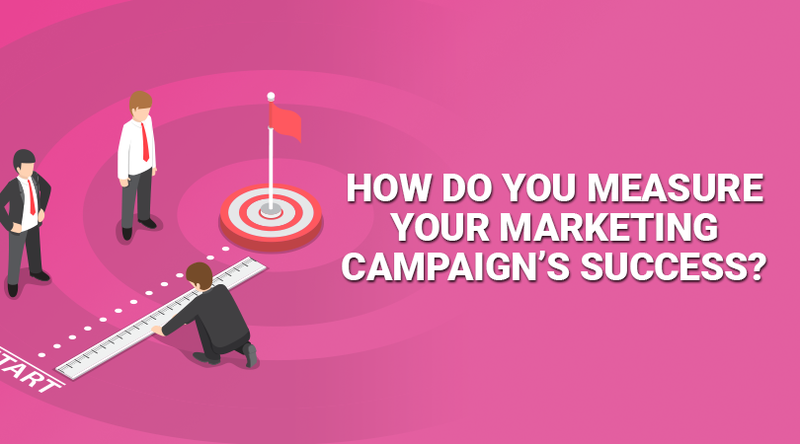 A successful campaign provides a sense of pride and achievement, and the knowledge that you have been able to justify the spend on the campaign. But what defines whether a campaign is successful? In order to answer that question, you firstly have to revisit the very start of your planning process and ask what was the aim of the campaign? This small list is by no means exhaustive, but they are certainly some of the more common aims of a campaign. In order to measure whether these aims have been hit, each one will have goals and targets associated with it. Number of Leads generated: this can include a variety of actions including contact form fills, downloads of resources such as eBooks, or event sign-ups. Coverage: number of publications, links etc. “We want to generate 25 leads over the three month period of the campaign” or “We will increase our engagement rate across our social media channels from 3.5% to 5% over the next six months”. From these SMART targets you can then set Key Performance Indicators (KPI’s). KPI’s can be set monthly or quarterly, and are one of the indicators of how your campaign is performing. They will form the basis of the end of campaign report, which is often presented to key stakeholders within the business. It goes without saying that for different campaign aims, there will be different KPI’s, and so there will be different metrics which will need to be analysed. Brand Awareness: Web Traffic, Social Media Engagements (Likes, Followers, Comments, Shares). Lead Generation: Conversions, Conversion Rate, Goal Completions, Cost Per Acquisition. Sales: Conversions, Conversion Rate, Average Order Value, Cost Per Acquisition. The examples above are an indication of the different metrics which should be considered for the specified aims, but you may find that there are other metrics which are more important to your business. It may also be that you are running an identical campaign to a previous year, for example, you may produce a guide or survey on an annual basis, in which case you can compare the data year-on-year. This will give you a clear indication as to whether a campaign has been more successful this time around. The success of a campaign is often determined by the margins by which it has hit the KPI’s (or not). However, the crux of how successful a marketing campaign has been successful is whether it has generated return on investment. Has the activity you have undertaken generated revenue, and has that revenue outweighed the cost of the campaign? Every campaign aim relates to ROI, even brand awareness, as those people who are now aware of your brand should eventually become customers, although this may be further down the line. Whether you are putting money in to a campaign in-house or whether you’re employing a digital marketing agency such as ourselves to do it for you, you want to be able to see financial results. The purpose of spending on marketing is to help the business grow and become more successful. How is that going to happen if your marketing activity and campaigns aren’t driving return on investment? With this in mind, My Social Agency are hyper-focused on delivering ROI for our clients, and our unique adaptation of the agile approach means that we can test multiple ways of working to see which one generates the most return, over a very short period of time. If one approach doesn’t work, then we scrap it – why waste time and money on an approach which doesn’t deliver results? If you’re not sure how this works, then take a look at our case studies to find out how it’s been successful for a number of businesses across a variety of industries. Overall, there are a number of metrics which marketing managers and business owners like to to look at when analysing the success of a marketing campaign, from web traffic to retweets to conversions, but ultimately they will all lead to ROI, and we truly believe that return on investment is the best way of gauging whether a marketing campaign has been successful.